Our prediction to make the biggest impact during 2019 is voice search. Many brands are already leveraging the technology to great effect, read about how Esteé Lauder, Domino’s, Diageo and Burger King are making the most of voice search technology. Voice search is a step beyond chatbots, imagine speaking to an ecommerce site in your mother tongue and searching for products. This bridges the digital divide and opens up online shopping and other services to a far greater audience. Find out what 35 voice industry leaders have to say about voice. The most common voice searches are simple commands like “call mom” or “navigate home,” but over the last year, there has been a rise in the number and diversity of voice searches. Advances in voice-supporting AI and differences between the algorithms of various tech-giant providers are sure to lead to more distinction between brand offerings over 2019. Read why Gabriel Shaoolian (Forbes) thinks that voice search will dominate SEO in 2019. Artificial intelligence (AI) is making a huge difference in the marketing world already, helping to achieve better user experiences, help to predict customer behaviour, and to provide real-time customer support. Salesforce indicates that 51% of marketers are already using AI to great effect, which is likely to increase to nearly 80% by the end of the year. A recent Gartner Study suggests 30% of ecommerce growth will be credited to AI technologies by 2020. Listen to IBM’s Jeremy Waite, Chief Strategy Officer discuss What’s the Future of AI in Marketing? This isn’t the first time that personalisation has been a trend, it’s been talked about for years for many different purposes, even going back to pre-digital days when personalised junk mail became a thing. Personalized content works for products, services, emails, and more, and is made possible using data, for example your purchase history, consumer behaviour or links clicked, custom content has never been easier. 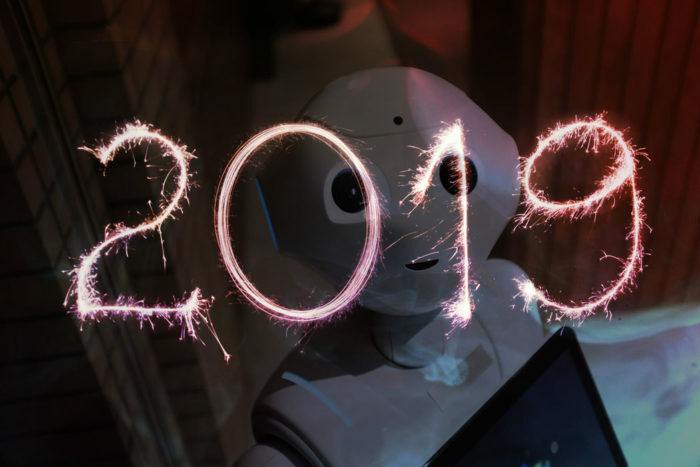 The main search trends of 2019 we believe will be related to slightly more technical areas than usual. Site speed is a good example of technical SEO. Your site can be optimised in a variety of ways including using content delivery networks, caching solutions, minifying code, asynchronous loading or using Google’s Accelerated Mobile Pages (AMP) HTML, which does all of these things and more. Structured / schema data is code you can add to your web pages that is visible to search engine crawlers and helps them understand the context of your content, and can help to enhance the presentation of your SERP listings through featured snippets or knowledge graph entries for example. It’s a way to describe your data to search engines in a language they can understand and is gaining more and more importance because it is heavily used by Google in the Search Results. Get in touch to discuss embracing the latest trends for your website. The key with a lot of these trends is to do them well. Voice technology is famously terrible on some well used devices, but that doesn’t mean companies should ignore it. People are fascinated by voice technology, and intrigued by what they can find out through a voice search. Optimising your search results for voice is an exciting new task for businesses, and one that they need to get onto straight away, for risk of losing valuable, techy customers.